BAY SHORE, N.Y. -- A homicide squad in New York is investigating the death of a pregnant woman found with multiple gunshot wounds inside her car. Her fetus also died. 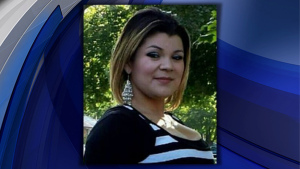 Suffolk County police say they responded to a call of gunshots Saturday night and found Milagro G. Canjura unresponsive outside her home in Bay Shore on Long Island. She was taken by ambulance to a hospital, where she and the fetus were pronounced dead. Shattered glass still lined the home's driveway Sunday. Neighbor Margarita Hill says she heard what she now believes to be three gunshots and initially thought it was a celebration. She says Canjura was friendly but largely kept to herself. Police don't know how far along Canjura was in her pregnancy.